Engagement photos are a common practice amongst couples. 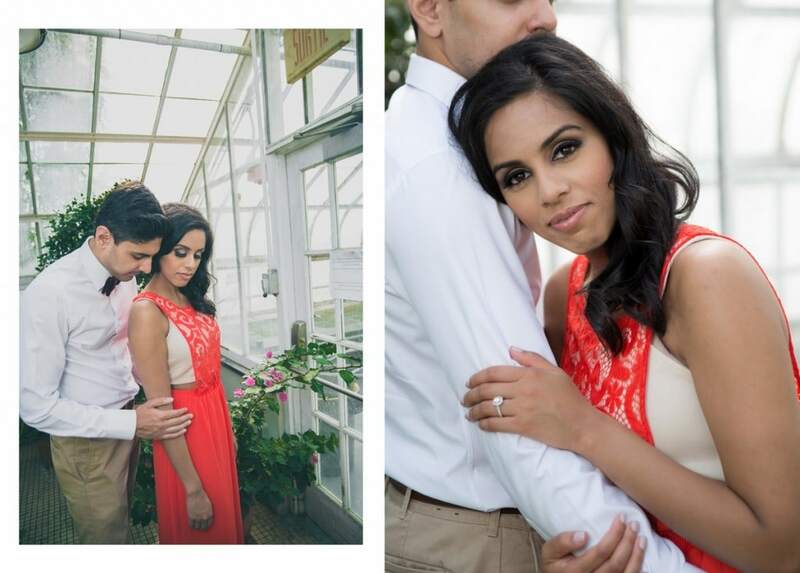 The photos capture that wonderful moment of being an engaged couple about to embark together on the lifelong adventure of marriage. The photos are used for many purposes including decor at your wedding reception, sending wedding RSVPs and sharing on your wedding website. 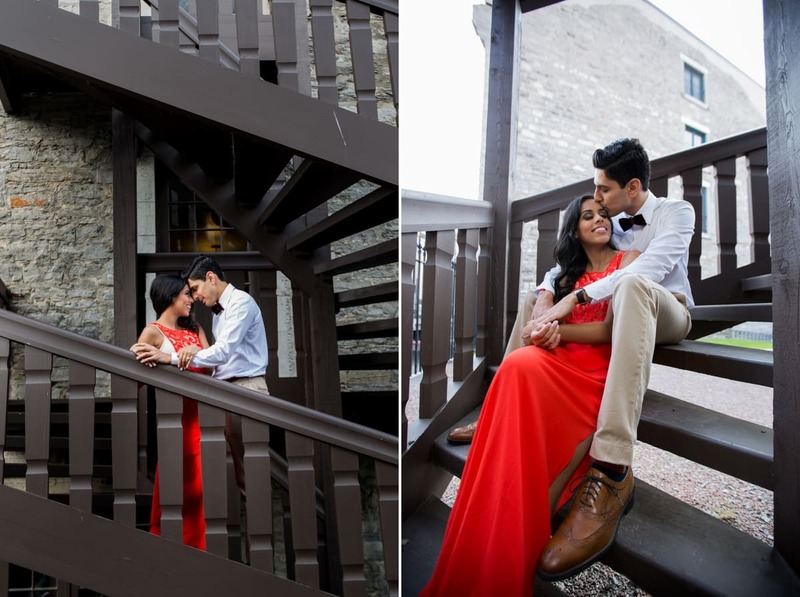 How do you capture the best engagement photos? 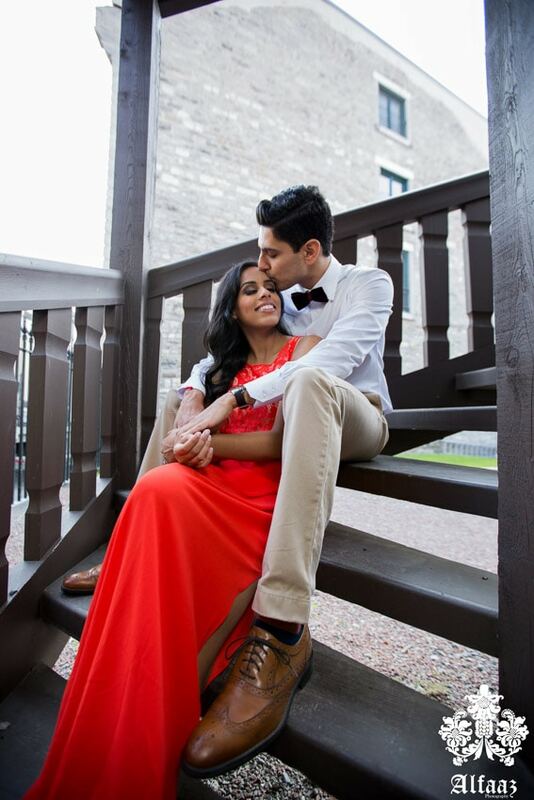 Check out this engagement shoot with Shupy and Baldeep. As with most couples, they aren’t used to being in front of the camera. But there a lot of little things they did to make the process a whole lot easier. These are simple tricks, which you can do too! Be comfortable. Shupy wore a very simple and classy dress, something that she would be very comfortable in when moving around and getting into certain poses. Don’t match; coordinate. 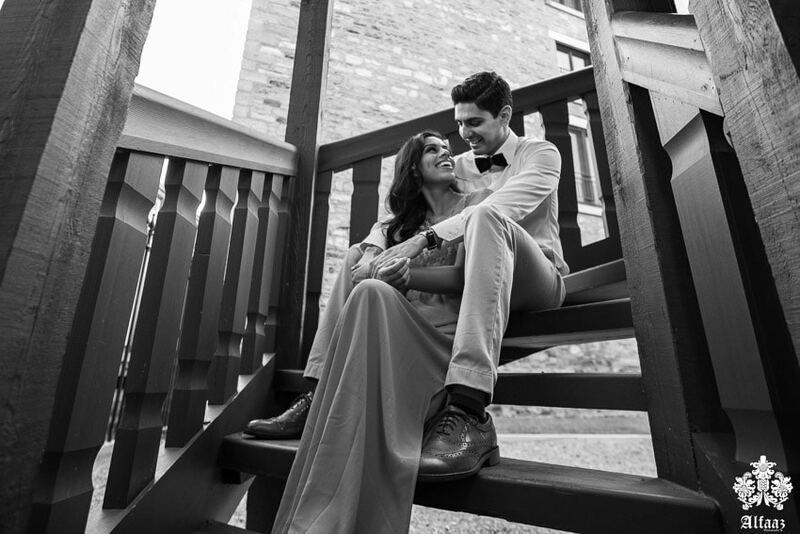 To balance out the bright orange of her dress, Baldeep wore beige pants and a white shirt – something, again classy, but also complimentary to Shupy’s outfit. A natural look. Shupy’s make up was simple yet classic. Reve Studios did a fantastic job creating this light look, keeping the look simple and natural. A natural classic look like this is one that you’ll always be proud to keep on the mantle for years to come. 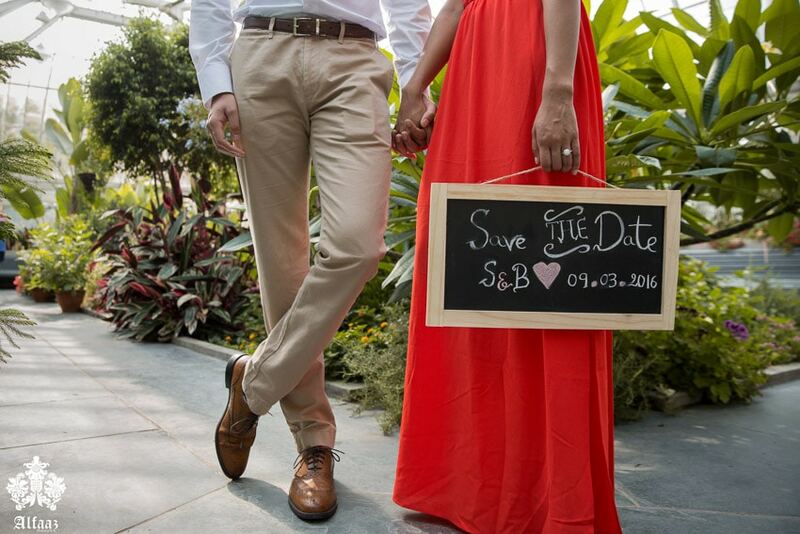 No props: Props can overcomplicate engagement photo shoots. 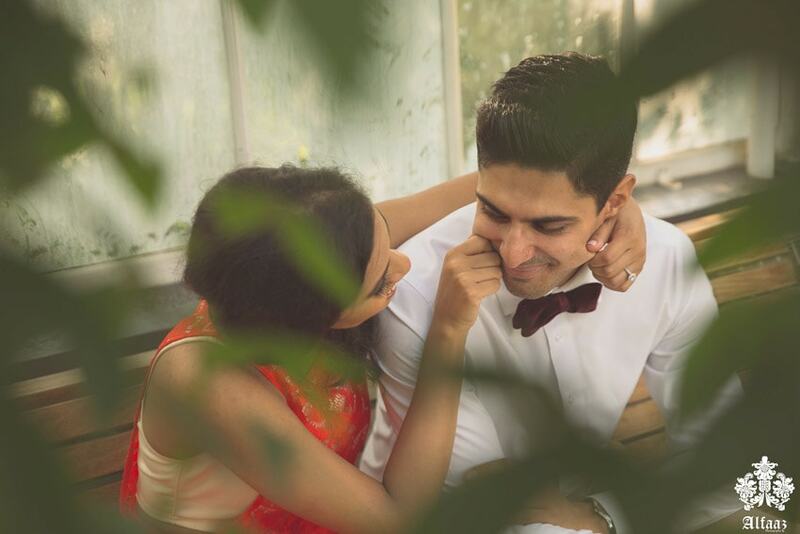 For couples who aren’t used to being in front of the camera, this can be an uncomfortable experience, and trying to work with props in front of the camera can add an extra level of complication. And if you are using props; keep them simple and don’t let them steal the focus off of you. Lights. Camera. Action. There is a reason ‘lights’ is first on the list. The right lighting can make or break the perfect image. 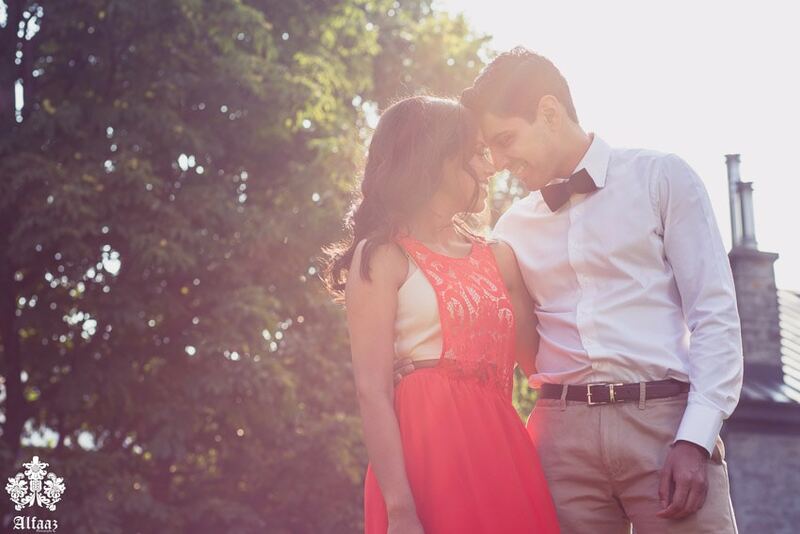 Shupy and Baldeep chose the gorgeous morning hours for their photos. The result – gorgeous photos with that beautiful golden glow. 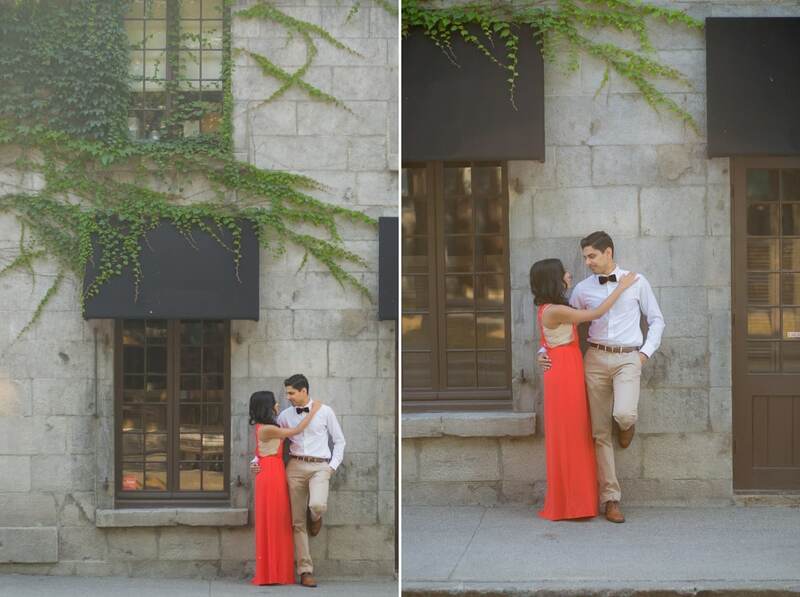 Location: Location can make all the difference for your engagement photos. 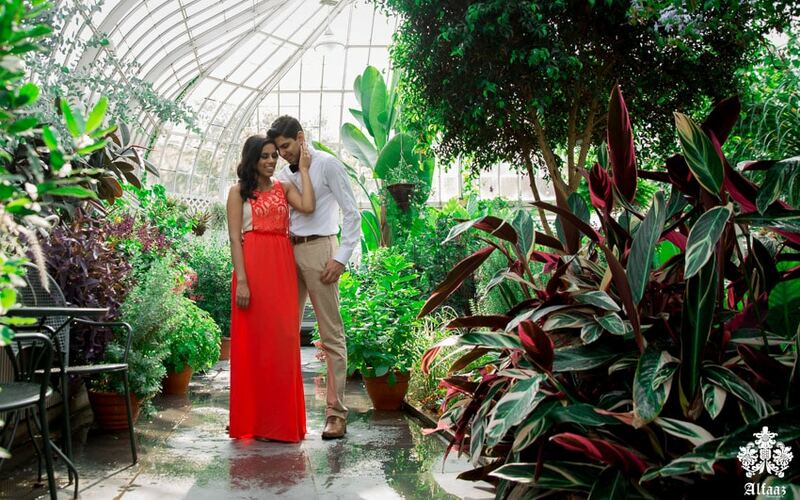 Shupy and Baldeep went with a very natural shoot location. They picked a location that had a variety of backdrops to be used throughout the photos. From green landscape to old architecture. Need some ideas for your engagement photos? 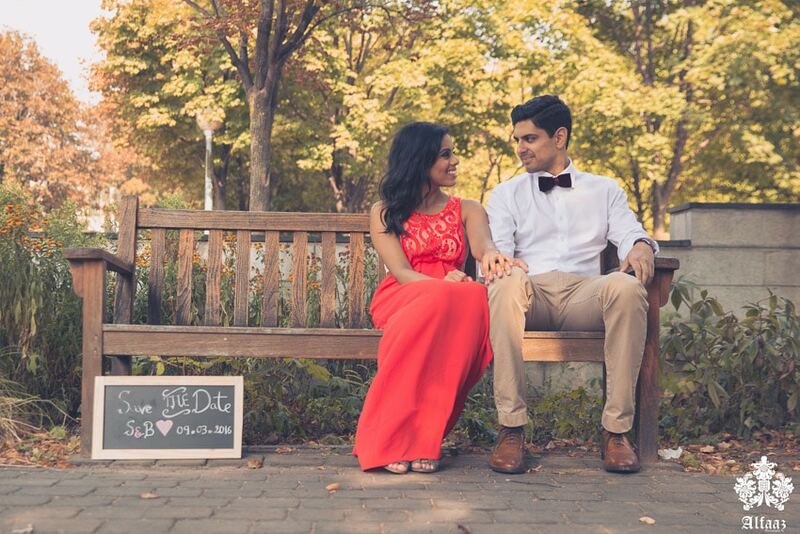 Check out our blog on a winter winter engagement photo shoot. 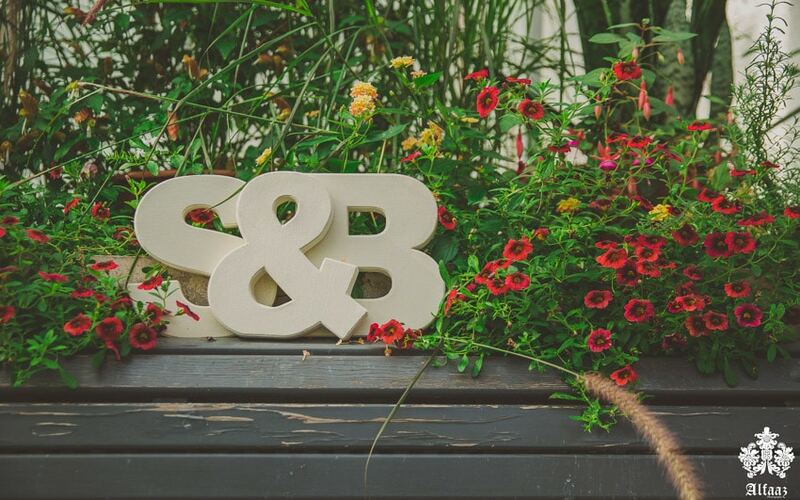 Check out our other blogs for ideas on planning your engagement shoot and your wedding.